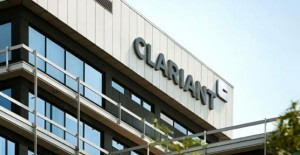 Muttenz, October 31, 2013 – Clariant, a world leader in specialty chemicals, is today officially opening its new EUR 100 million Clariant Innovation Center (CIC) in Frankfurt, Germany. The company’s new global hub for Research & Development (R&D) is based at the “Industriepark Höchst.” It will be the home of Clariant’s competence centers in chemical research and process technology as well as application laboratories for several Business Units and state-of-the art analytical laboratories . The CIC will also house the departments for Intellectual Property Management and New Business Development. As the corporation’s global hub, the CIC will ensure the coordination of Clariant’s world-wide R&D network, which includes centers across Europe, North America, Brazil, Japan, India and China. Located at Clariant’s largest manufacturing site, the CIC will benefit from the excellent infrastructure as well as industrial and academic links offered by the Rhein-Main region. The new facility covers a total surface area of 36,000 square meters and will house around 500 employees from R&D and supporting business and administrative functions. The modern, open-plan building was designed by Düsseldorf architects Hentrich-Petschnigg & Partner. It features a mix of open workspaces, offices and laboratories to foster the exchange of ideas among employees as well as with visiting partners from industry and academia. To mark the occasion, Clariant is welcoming guests from the regional government, industry, academic institutions, and the local community. Clariant CEO Hariolf Kottmann, Executive Committee member Christian Kohlpaintner and Chief Technology Officer Martin Vollmer will provide insight into the future R&D areas of focus and individual market segments to be coordinated from the CIC. Themed “In touch with Clariant” a multimedia exhibit on the premises showcases Clariant innovations already at the forefront in aiding customers and society meet the global challenges of environmental protection, globalization & urbanization as well as resources & energy. Highlights of the exhibit include: flame retardants that keep electrical and electronic devices safe without harming the environment; biotechnology processes to create biofuels from agricultural residues; using renewable raw materials to boost crop yields; eliminating parabens from cosmetics; reducing environmental pollution from industrial plant emissions; and flagship projects with major partners, including Audi, to substitute natural gas by converting CO2 with hydrogen derived from renewable energy. This is an attractive solution for CO2 utilization, energy storage as well as future clean energy supply.